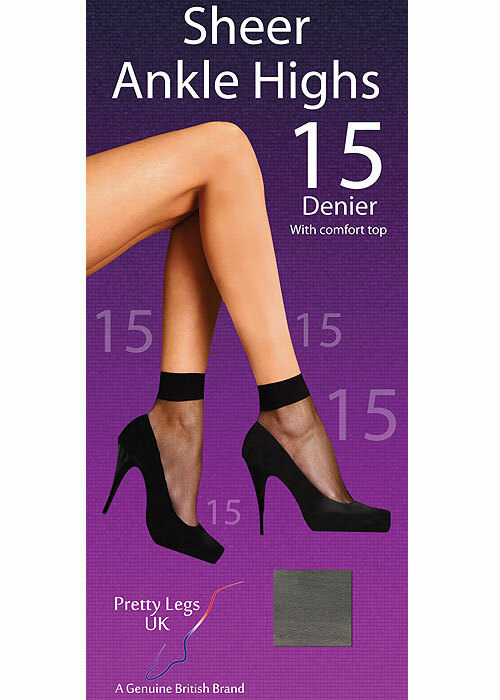 Pretty Legs thrive when it comes to making high quality essential items. 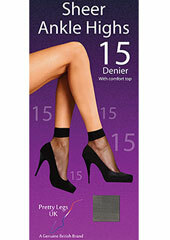 Their 15 denier ankle highs are the ideal example of the kind of design they absolutely excel at making. You get 4 of these brilliant, long lasting items that will be incredibly comfy and super durable. A simple design that is made with quality materials, right here in Britain. Rating: 5 Clear website and prompt delivery with quality product. All much appreciated.